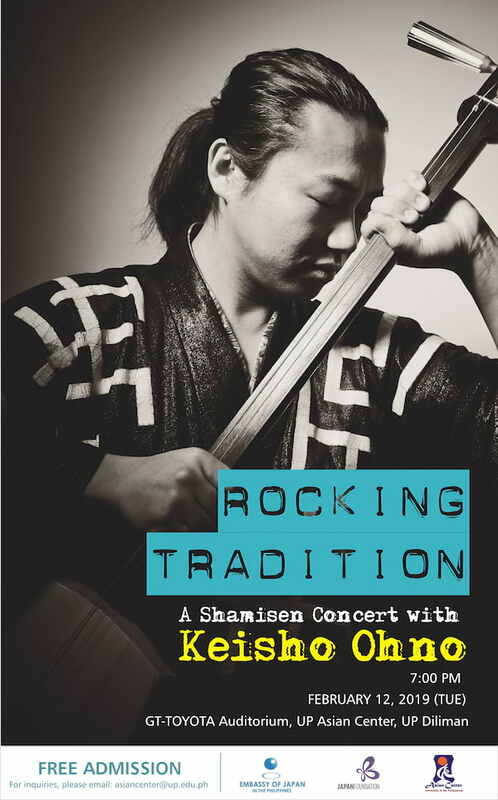 Come and enjoy Japanese traditional music infused with contemporary rock beats at “Rocking Tradition: A Shamisen Concert with Keisho Ohno” on Tuesday, February 12, 2019, 7 pm at the GT-Toyota Auditorium, UP Asian Center, Quezon City. 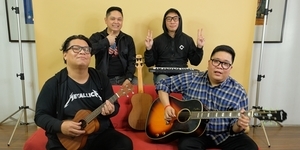 The free concert is co-organized by The Japan Foundation Manila, and UP Asian Center in cooperation with the Embassy of Japan in the Philippines. international performances were at the “Organization for Economic-cooperation and Development (OECD) Ministerial Board of Directors Meeting in Paris, participated by 34 developed countries,” in 2014 and at the Kuwaiti National Founding event in 2015. In 2006, he became the first tsugaru shamisen player to perform at the South by Southwest, the world’s largest music fair held in the US. This was followed by a five-city tour in France and Luxemburg in 2008. Since then, he has “gained a steady artistic foothold” by performing yearly in European cities in Germany, France, Belgium and the Netherlands. Keisho is known for always challenging “nouvelle performance and high musical technique.” His music, which combines the shamisen with rock tunes, is exemplified by his motto, “Keeping traditional music as well as destroying it.” He has released five albums in his career: Shamisendamashii -Shami Spirits (2007); Samurai (2008); KAMOME (2011), which also debuted in Europe from a French label; SPARK (2013); and KEI (2013), which features traditional shamisen pieces. The tsugaru shamisen is a traditional Japanese musical instrument with 3 strings. It originated from< Tsugaru region in the Aomori prefecture. Of the three types of shamisen, the tsugaru shamisen is the biggest, characterized by its broad neck. It is played by plucking the strings very hard with a “straight wooden stick” called the bachi. Seating is first come, first served. Walk-ins are welcome, but attendees are encouraged to sign up.